What is the difference between Seasonality and Trend? In the first in a series on forecasting basics, Philip Stubbs of Drakelow Consulting explains the concepts of seasonality and trend. There are two terms that crop up quite frequently when forecasting - Seasonality and Trend. They are two concepts that help us to describe two types of variation in historical data. Once these are understood, they provide an understanding of the data to help estimate accurately how the series will vary in the future. 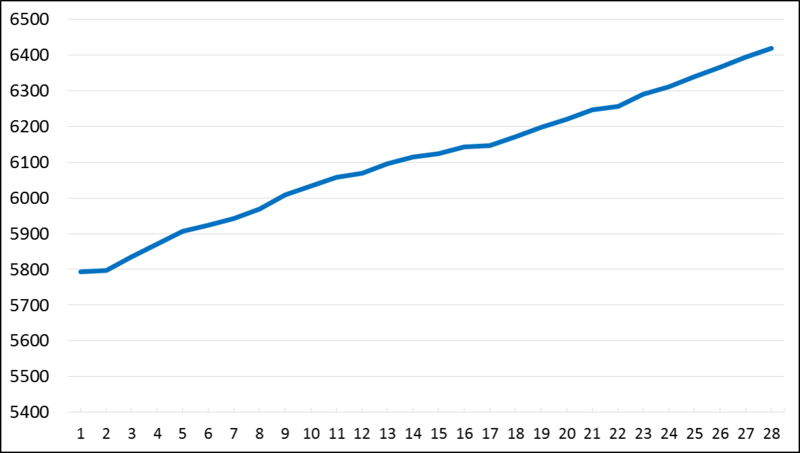 For example, the graph below - with 28 data points - shows a positive trend. The graph below - again with 28 data points - shows a negative trend. The series in the graph below has no trend. Overall, the data is flat. The study of trend is important because if we see growth in the values we observe, and we assume that the growth will continue, then we should calculate that trend and reflect in forecasts, to make them as accurate as possible. 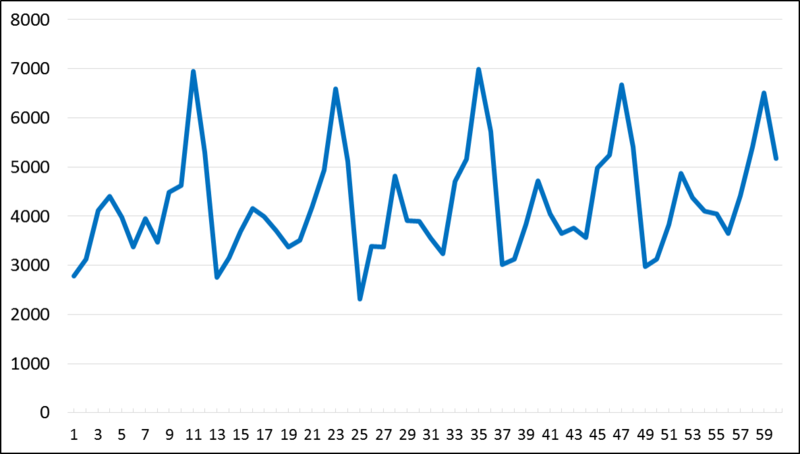 Seasonality is variation that occurs with a regular period. 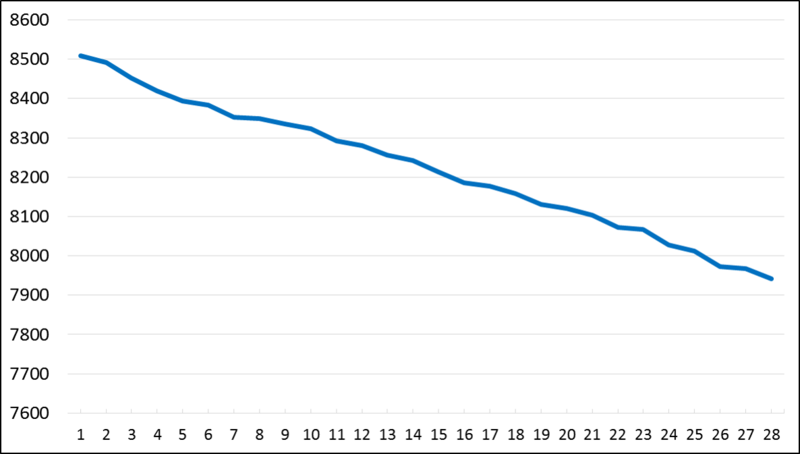 For example, the chart below contains daily call volume from an inbound sales contact centre. 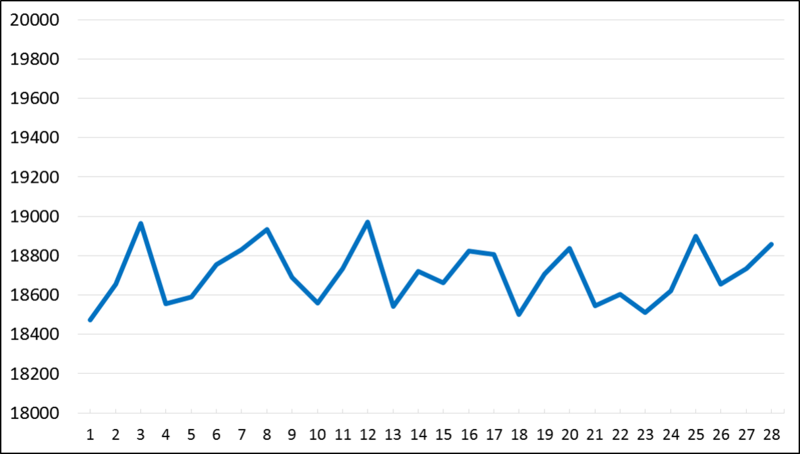 Notice that there is a within-week seasonality, yet there is no trend. Monday is the busiest day, and the volume reduces on both Saturday and Sunday. The chart below contains monthly sales data over five years. A within-year seasonality is noticeable, with November and December being the busiest months every year. Again this is seasonal data with no trend. Now the table below has data which has both trend and seasonality. 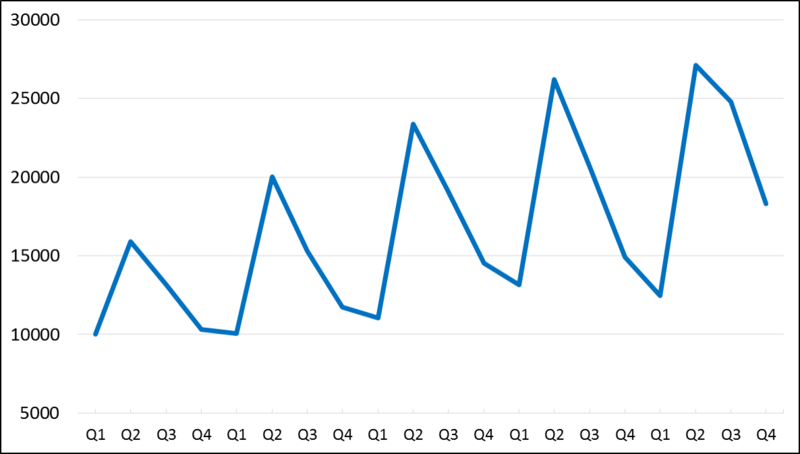 This is quarterly data of sales for a business, showing a positive trend. The study of seasonality is also important to forecasting accuracy, since if we see a regular seasonal pattern in historical data, and we have reason to believe that the seasonality will continue, then we should take advantage of that seasonality and capture it in forecasts,to maximise accuracy. The understanding and treatment of Seasonality and Trend are essential elements to an accurate time series forecast, so it is essential to study these closely. In future articles of Forecasting Basics, we will look at many forecasting concepts, including: making simple forecasts, dealing with trend, dealing with seasonality, aggregation methods, exponential smoothing and how to use external data to make forecasts more accurate. 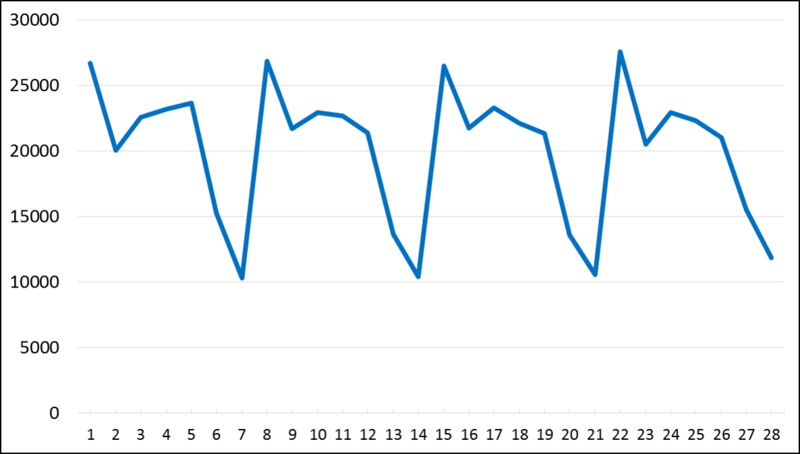 In this article, Phil Stubbs outline options to measure forecast error, and how its measurement can help improve accuracy. Find out more about Drakelow Consulting's 40-element methodology for excellence in Operations Support.